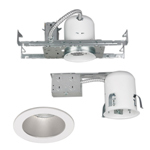 Topaz's residential and commercial line of Recessed Downlighting housings and trims are the perfect choice for new and remodel construction. 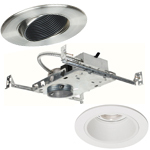 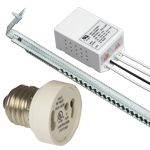 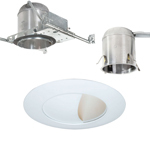 Some products are available in 3", 4", 5" and 6" diameter openings to accommodate any Recessed Downlighting application. 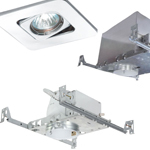 For applications with restricted space, Topaz offers a line of shallow housings as well as housings for sloped ceilings.